I get a ride to the Tribe meeting with two of the other members. It 's great to see the guys and I feel a strong sense of camaraderie. We joke around in the car. One of the members has a big smile and looks like the cat that ate the canary. I ask him what is going on – he saves it for the meeting. The other member also jokes around but seems distracted. He was on the hot seat the previous meeting. We arrive and get started. The first hot seat gets into it. He states that he wants to start a new business with an edge. Chief eggs him on saying "We all want stuff – whiter teeth, better friends – I don't see a problem." Hot seat gets into some forms. PM says, "This is real what you are feeling right now." We ramp up the emotion as a group and freeze it. Hot seat has a lot of feelings but can't get a connection to a past event. We all take a stab at helping him to find something behind the feeling. I relate to this – I have gone blank on what I thought was a big emotion. We wind down the feeling into talk. Hot seat uncovers some memories of moving around, changing school, and hiding under the bed. He talks about not knowing what he wants to do, and uncovers more about his father telling him not to work for a corporation. I tell him that I don't know what I want when I can't access my feelings. I say "My gut is the only way I can tell what is right for me." His process helps me to clarify this in my mind and recommit to seeking out my feelings. Other resonate themes from the process include: Mother's manipulation of friends; not being allowed to have what you want as a child; basing a business on being of service. Second up the member gets into a rocks process. He starts off with an entry around being left alone. He gets here by extrapolating a [recurring] relationship problem to a conclusion that women ... leave him - all alone - if he acts in a particular way. He gets into "all alone" and we ramp it up. The memory is of being locked in a closet by his mother – all alone in the dark – his mother deserts him and leaves him in the closet. This memory leads to further forms and memories. The process settles on one memory – mustard plaster. I lead the process. I make a few mistakes during the process, but don't let it take me out of the moment. This is progress – normally I have extra double judging self-talk when I make a mistake - this judgment spirals out of control in a feedback loop. Today however I just acknowledged the slipup to myself, correct course and move on. Easy. This is a good example of how things are getting easier for me. I attribute this directly to my work in tribe. Process continues, I note that as PM I'm not as "into" the feelings as I am in other roles. I remain a little removed to ensure that process stays on track. However in the days that follow I start to have very strong feelings around: Don't complain; cry; whine. My memories are similar to hot seat with father saying "You want to cry – I'll give you something to cry about". I also have strong emotions around mother's touch. Hot seat checks out with a final question wondering if he has setup his relationship without enough touch by selection or by training his partner - I relate. Thank you both for doing the work. Today I buy a small bell for my bicycle. I ride home and enjoy the gentle "ding ding" as I establish a friendly boundary and let people know where I am. They move to accommodate me. Some make eye contact and I feel happy. I notice that there are no close calls like most times I commute before the addition of the bell. Using a no boundaries/no bell approach I wait until the last minute to shout angrily or nearly crash into someone that pays no mind to me. I feel a rush of escaping getting flattened. I like boundaries better. It's a much more pleasant feeling. I arrive relaxed, energized and enjoy the ride much much more. You might notice your boundary management skills improving in other areas as well. 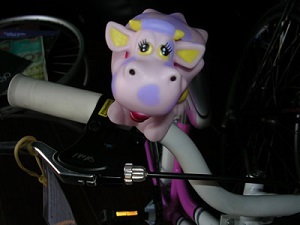 I have a cow bell on my bike - that makes a kind of a squeaking sound - and gets smiles from pedestrians ahead. This morning I notice that I no longer cary the two Heart Rocks that I have earned in my pants pocket. I notice that I don't pat my leg or reach in to feel them. I remember this coincides with attending the last Tribe meeting. Today I also notice that I use Heart Rock very single day in each interaction and virtual all people I have interacted with have been relating back to me in an intimacy centric way. I feel like Heart Rock is becoming an automatic part of my day to day process, at all times. This feels good. My body feels very solid and upright. My thoughts feel light and don't hurt my head as they drift through. I notice my feet feel planted on the ground (or pedals) and that my eyes focus easily often finding eye contact with others. I feel like a loving and protective fatherly feeling toward myself - this is a new and pleasant experience. I am delighted, it feels like a tingle in my cheeks as I smile and breathe easily. Thank you Chief and Tribe for your support. My entry point was my lack of clarity of what i wanted to work. Several minutes later i started telling a story about how i feel by not having an edge. where is the edge? i don't see the edge! where is my edge? In some part of the process the manager asked me something and i started feeling and i developed some forms and then i stop and i start telling another story. The manager asked to other members if somebody want to lead the process in order to link this with the rock process. During this process other manager start asking some questions and i started feeling something again and i developed some forms. something about not starting again and moving to many places. my sadness of start it again and to fit again. All my process was like an intermittent demand of feelings, like my life, not grow at all. I am winning when i don't win. My behavior destroys any "edge". I feel very sad. I have to change this destructive behavior. Thanks for the support with my process to all Tribe members. It was great seeing you yesterday. Thanks so much for taking the time to look at my trading pattern, and help me begin to understand it better. I am amazed that you are able to build a computer model to replicate my trading pattern. I am hopeful that it will be helpful in choosing some new techniques, and experiencing a new pattern. I am looking forward to continuing to learn more. Thank you for participating in this project. I wonder if you would consider having one of your Workshops in my resort in Bali. Or if you want just come visit with your family. I figure you might like the atmosphere. You can redeem this offer anytime. You could stay as my guest. If you're interested. Three spiritual people say that our land has a special energy to it. I can't sense it yet but people like meditating there. You could meditate. Or we could bang on drums together. Thank you for extending your offer. I generally present workshops in response to demand and I offer them in a fairly accessible part of the world. If I get a lot of interest in Bali, I can let you know. I feel beaming pride when I read the tribe report from May 17, 'Receiving Mother's Touch'. In response to my own personal FAQ submissions and those of other contributors you sometimes write "thank you for sharing your process". I now have a deeper appreciation of the ever evolving process of personal Tribe work and feel motivation to keep trekking down my own path. I strengthen my resolve to nurture and protect my Tribe as it evolves. I feel confidence that I find the way that feels right for me and resolve to help others who enlist my assistance in their own journey. I congratulate the writer for his/her courage and also the Tribe's willingness to help with the process. Thank you for sharing your process and encouragement. The day leading up to Tribe meeting are filled with experimenting with unfamiliar feelings and exciting results. I find myself reluctant at times to share my feelings, reluctant to operate on an intimacy level and tempted to use control, and manipulation. Each time I choose to share my feelings I get more intimacy instead of the rejection I expect. During check in I disclose information about myself and about the experiments to the Tribe. The field of acknowledgement does not collapse. Tribe accepts me. It is still surprising when intimacy centric works. The first Hot Seat is not sure what he wants. He has some trouble accessing his feelings and amping them up. Tribe supports his process. It is his first time on Hot seat, and he makes significant progress. The feeling I most relate to is dread at having to start all over again. We have shared experience with frequent moves during childhood, and also during adulthood. I find this "starting over" pattern exhibited in my trading. I am ready to settle down, I am ready to grow roots and build slowly over a long period instead of building quickly, tearing down and starting over. The second hot seat gets into form. 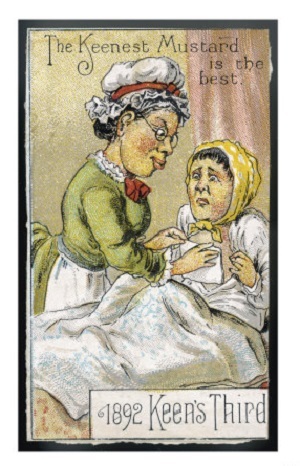 He talks about several childhood events, and decides to role play an incident where his mother and grandmother team up to hold him down and apply a mustard plaster. The mustard is meant to treat him, but he knows it just hurts and burns and doesn't help. I play the Grand- mother. (Somehow the bearded guy often plays grandmother roles… ) The hot seat gets two rocks donated the go to sleep/shutdown rock from his grandfather and a don't complain rock from his father. Hot seat Fore-Gives the rocks, and I then have the opportunity to donate Heart Rock to him. It is a real honor to do this. When we role play the scenario he is able to use heart rock to stop me and his mom from administering the mustard plaster, but had not really exchanged feelings. PM suggests a second heart rock role play. During this role play he is able to really share and solicit feelings particularly with his mom. He talks about his desire to receive touch and affection from his mother. I relate to this, I did not get much affection from my mom. I wonder if that is why I crave physical affection, and also maybe why intimacy scares me. I continue to notice quantum changes in how I feel and how I interact with people. I see that Trading Tribe has been a catalyst and mechanism for increased intimacy. I notice I tell my mom what's really going on and how I am feeling rather than being annoyed and wanting to get off the phone. Our relationship is considerably more open honest and fulfilling. I notice I call my dad to tell him whats going on and ask questions about his experience. I notice a feeling of content and satisfied. I notice far less drama. Thank you for sharing yor process and for documenting the meeting. Thank you for Tribe and FAQ. Process begins. Tribe encourages hot seat to experience his form. Two Tribe members naturally and informally share the PM role. I notice this feels cooperative and supportive. They seem to compliment each other's timing and it's working well - process is moving along and Hot seat is getting further into his feelings. I'm aware that I feel ill. My head hurts above and slightly behind my eyes, I have tension in my neck behind my ears and down to my shoulders. I notice I feel very tired and slightly nauseous. A single PM emerges from the initial shared PM process. There is no dialogue about who will be PM. He simply begins implementing the steps of Rocks Process. It feels natural and is supported by the Tribe's continued field of acknowledgement and attention. I find I want to serve in the grandfather role. I take on the role and immediately demonstrate how to shut down. Sleep it off. I close my eyes and let them open a crack when I sense movement approaching or the volume in the room increases. I donate the go to sleep, shut down rock. I see Hot seat use it. He extracts maximum utility by stretching out. It feels serene. I leave the room to lay down in a bed. I want to sleep too. Host seat calls to us. He wants to work. He is ready and has willingness to resume the Rocks Process. Hot seat Fore Gives the sleep rock to me. He knows how to do this. I want to help him and understand that accepting Hot seat returning the rock helps him. I notice I feel energized and suddenly awake. We have eye contact and I'm very upright in my seat, no longer slouching half asleep. I feel thoughts flicker past as I observe Hot seat forgive another rock to his father. The headache I feel intensifies. I feel like I may vomit. We check out of our roles and I notice that the headache and nausea now feel like they are under a layer of happy calm that envelopes my body. The new happy calm energy sensation is topical. I imagine it as a layer of glowing "fat" yellow energy about four inches thick. It penetrates my exterior by about two inches leaving an exterior layer of energy. The feeling diminishes as the thought picture fades. I feel generally disoriented. It reminds me of how I feel after earlier processes. I feel as though I have also been on the hot seat. I thank the TrIbe, the two Hot seats and PM. After the meeting I join some friends at their home. I am staying with them for the evening. They note that I seem different, calm, sure and energized. I notice the more present I am with my feelings the more thoughts I notice - they are distant and I see the system: Go to sleep. Wait until tomorrow. I see how the Hot seat and I share this and I feel a direct connection to issues I am resolving. I feel tremendously powerful. I also feel excruciating pain in my head and neck and I know I will vomit. I excuse myself to vomit. It's not unpleasant, the pain and nausea pass. Shower and return to my friends, calm, energized and sure. The following days include moments of revelation - I see the pattern. I feel very stable and find that I'm making choices that add to and multiply my progress. I want to acknowledge the Tribe and Hot seat for the gift. Thank you for sharing your process and your view of the process from the viewpoint of playing a role in the Rocks Process. 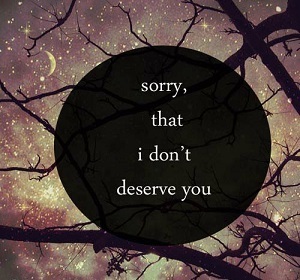 I wonder about your take on deserving things. 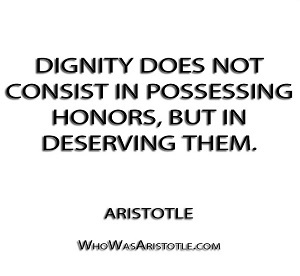 If someone tells you you "deserve" something, they also confer (1) judgment about your value and (2) expectation of some reward or punishment. (1) controlling others through reward and punishment as in "you deserve an extra desert;"
(2) explaining events that lie outside someone's expectations, as in "he deserves better;"
(3) wishing for benefits without working to get them, as in: "I deserve a life of leisure." (4) getting people to work for free, as in: "You deserve a lot of credit." In TTP we have intentions = results; the structure of a system intends the behavior of a system. The dynamics may, incidentally, include someone who employs the notion of deserving. 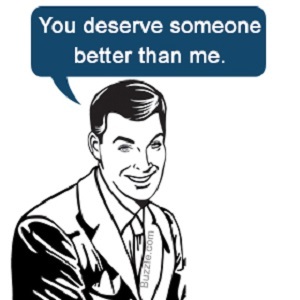 In general, "deserving" implies an attempt to apply the control-centric model for manipulative purposes. and medicate his own guilt about it. I feel continued ease extending from our last Tribe and Lab meetings in PR. I notice deep breathing, lasting eye contact with others, upright an energetic posture. The usual morning hollow core feeling that wakes me is gone. No pain, racing thoughts or urges to move my body, just a calm ready to be filled feeling. Ready to start. Limbs relaxed. People continue to be warm, supportive with insights, sharing feelings and offering assistance in my day-to-day activities. I notice I am not anxious about seeing my daughter today or about interacting with my ex-wife when I drop her off tonight. I see that I continue to share my feelings, ask others to share theirs. I notice that establishing boundaries and sharing how I feel about it and asking other how they feel about it is new. It feels upright and open whereas previous situations where I attempted to establish my boundaries felt like contests and conflict. In the past I am afraid to win. I don't want to hurt people and fear the impact my verbal and intellectual defenses and attacks will cause harm. It feels like cowering, fearing reprimand. I frown and feel empty in my gut. Now I feel sharing my feelings about boundaries and acting in my best interest is kind and responsible. I want to acknowledge the two Tribe members that worked last meeting, our process manager and our Tribe for this change. Today I experience standing up for myself, my family and winning by sharing my feelings. It feels like being filled with energy and a hug from inside. Its me again. I know you don't like me so much. I think about heart rock recently and ecstacy and heart chakras and stuff dealing with the heart. I think that I fear opening up my heart. I have this fear about connecting intimately with people. 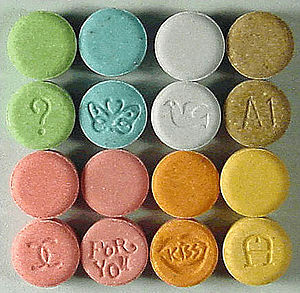 The last time I take an ecstacy pill I wind up freaking out that I feel so open and I reject what I feel. I think about my gf and if I can take ecstacy with her. I think about how I would react. I also think about Tribe and opening up my heart in Tribe. And about opening up my heart to people in general. You say that fear motivates risk management. I wonder what you have to say about fear in being intimate with others heart to heart. Maybe it keeps the person safe in not getting to know certain people? Many people have a natural fear of intimacy. Fear helps us set and measure our risks and, in the case of relationships, our boundaries. You might consider that you have a choice about what to do with your fears. 1. You can try to make your fears go away and medicate them with distractions such as drama with authority figures - and with drugs. 2. You can celebrate your fears, extract their beneficial intentions and proceed, proactively, to implement your insights. You might consider taking your feelings about <fear, feelings and drugs> to Tribe as entry points. Some people rave about it. [Name] wants to work and is awarded the hot seat. He struggles to verbally identify the issue he wants to work on. He seems to genuinely not know what is happening or what he wants to address. Hot seat is able to feel some feelings with further encouragement from the Tribe as we notice forms appearing. "Do more of that', "Crank it up" . Hot seat starts to feel some feelings and develop a form. Hot seat wavers between form and story telling. PM is unable to elicit the issue hot seat wants to work on. The topic becomes a dialogue about choosing, opportunity and edge. The process gets stuck a few times as hot seat goes blank on the feelings. We do a round of checking out on process so far. As my turn approaches I feel hot seat is in pain and unable to make a sound or express it. It is my turn to provide feedback. I ask hot seat if I may sit next to him. I want to be physically close to him. He accepts and I sit next to hot seat on a couch. I share my feelings. I tell him what I observe and what I feel as he develops forms and tells stories. I feel sadness, heavy spreading pain in my throat and down into my torso. I notice emotional charge and movement associated with big corporations, father and move often. Hot seat begins to get hot and develop a form. Tribe encourages him to crank it up. Hot seat experiences his form and feelings. He cries and struggles by putting his head between his knees and extending his arms forward above his shoulders, fists clenched, arms parallel to the floor. Tribe member says "freeze it right there!" I notice we have several tribe members acting in concert as PM. No one has fully committed to the PM role. Chief and tribe members try to establish a scenario we can role play. Hot seat gets into story telling again. Chief shows Hot Seat rosary beads and manipulates the direction of the dialogue. Hot seat describes a control centric relationship and power struggle with his mother and eventually states that he does not want to win. We check out on process and congratulate hot seat for his significant progress and achievement in willingness to feel and share feelings. I write this a few hours after I spend a couple or three hours on the Hot Seat. I still feel some disorientation and a bit spacey from the experience. Still, I'd like to get this down on paper while I have it fresh in my recollection. Maybe I can follow this up in a few days to share how things look after I settle down a bit. My Hot Seat issue has to do with my ambivalence about sharing my feelings in intimate relationships. I know all about the Heart Rock and how it applies to just about everything – yet, as the process begins, I do not see how it could possibly apply to my situation. Time and time again, I see this same pattern in the other Tribe members. We see how the Heart Rock applies in general and we don't see how it applies to our own special situations – until after the Rocks Process. My entry issue has to do with a history of relationships in which I feel my partner does not meet my needs for affection, particularly in the area of physical touch. I feel my partner does not really like touch that much; moreover, since I base a lot of my feelings about the relationship on touch, I conclude that she does not really care about me that much either. My typical attempts to confront my partner about her feelings about me only serve to drive her further away. Upon questioning by the Tribe I realize I feel profoundly unhappy in such a situation; I also feel afraid to terminate such a relationship for fear of exciting a familiar, formidable and painful feeling in my chest and stomach that I get when someone near to me leaves me and I have to carry on by myself. Adding to my dilemma, I have numerous platonic relationships with women who share some of my other interests and I sometimes feel closer to them in many ways than I do to my main relationship. I know the futility of changing partners; it only leads to a transfer of the same old drama to new cast of characters. The Tribe helps me get into some of my forms and then helps me locate several key incidents. I pick one, around age 6, in which my mother makes me wear a mustard plaster. The mustard burns my skin and I fuss and complain and squirm to escape, all to no avail. My mother prevails since can get my father to administer corporal punishment on the grounds of disobedience. To survive this situation, and numerous other similar situations, I resort to using a "shutdown" rock from my grandfather and also a "don't complain" rock from my father. Once I accept these rocks from Tribe members playing the roles of my grandfather and father, I feel peaceful and safe and sink into a pleasant trance; indeed these rocks prove so powerfully soothing that I find myself unable to feel much of anything and have little desire to move from the prone position and sit up on the couch in the Tribe room. The Process Manager asks me if I want to keep these rocks or if I have willingness or desire to proceed to fore-give these rocks and go for a Heart Rock. I don't immediately respond, preferring to sink back into my trance and continue to lay on the couch with my eyes shut. The room grows still. When I open my eyes, I find myself alone – the Tribe does not try to coax me or fix me. They simply disappear and await a show of willingness from me. I notice this replicates historical situations in my life in which I almost always wind up alone. I get it. I have to make a stand to win my freedom. I have to assert my will to get the Heart Rock. I resolve to go for it. I call out, "OK I want to give these rocks back." The Tribe comes out of hiding and we continue. During the fore-give process, true to form, my grandfather drifts off into shutdown mode and only with considerable encouragement from me, agrees to take back the shutdown rock. My father resists taking back the don't-complain rock by telling me not to complain about it. I get a Heart Rock and we re-play the mustard plaster scene. I feel a little out of place using the heart rock with my mother. It just doesn't seem to fit. Eventually I get her to back off and take the mustard plaster away. At the end of the role play, the Process Manager suggests a re-run. He notices I succeed in getting my mother to stop tormenting me - and that I stop short of getting what I really want: namely, physical touch. That perception takes me by surprise and brings to my attention that I have no idea how that might feel to have her actually touch me. We re-run the role play and this time I focus and establish a much deeper rapport. We manage to share feelings back and forth. The Process Manager points out I do a better job of sharing my feelings with her than receiving her feelings. She says she wants me to get well; I say I know that and that I want her to touch me and that I feel her touch would have more healing power than the mustard. Result: not only does she agree to take the mustard away, she actually spends some time stroking my shoulders and chest and soothing me with her hand. This amazes me and it brings me tears of joy and then again and at once I feel decades of sadness and grief and missing the joy all along - and all of it coming up from the deep and welling up inside me and then it all lets go and I just allow the tears to flow and they come and start to wash away some of the pain – and somehow I just hang in there with it and let it come. After that, I rest. Then, I sense something shifting in me about how I view relationships, particularly with women. I feel the presence of some new openness in me. I still feel spacey and maybe not making a whole lot of sense right now. I want to get this down on paper while I recall the details. Now, the morning after, I notice I feel nausea – like I want to throw up. 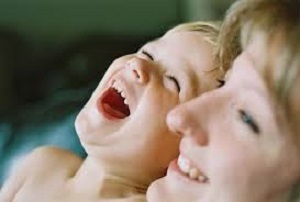 I notice I have numerous relationships in my life that replicate my relationship with my mother: namely, ones in which I do not have rapport with the other person – and in which the other person does not or cannot listen to my feelings and respond to them. I feel physically sick to my stomach about this. I also have a strong sense that, with new resolve to connect and with some new tools, I can connect with all kinds of people in a heart-to-heart manner. I resolve to do so and to create around myself a team of intimacy-centric relationships. Simultaneously, I feel less attachment and obsession about having to have touch as my one and only method of connection. I wish to thank my Tribe for helping me get through some of my forms, to implement intimacy-centric strategies and to see more clearly some of the opportunities I now have for personal growth. I especially salute their holding high standards for me during the process - and especially for refusing to coax me into going for the Heart Rock and waiting for me to develop the willingness to proceed - and for insisting I re-run the process until I more thoroughly master using the Heart Rock to get what I want – and to take it all the way to finally getting my mother's touch. Thank you for sharing your process and for documenting the Rocks Process. "Buying right, never feels good." Thank you for sharing this quote. You might consider taking your feelings about <never feels good> to Tribe as an entry point. after you overcome fear, it is called courage. (what's there to fear?) Thank you for sharing your perceptions. In TTP we don't exactly try to "overcome" our feelings; for example, we celebrate the positive intentions of fear, including risk control. For example, I wonder how you might feel riding in an airplane and hearing the pilot proudly announce to the passengers that, due to recently ingesting a new miracle drug, he no longer feels fear. Some people take risks in order to medicate deeper issues with the adrenaline rush. My system output matches your exponential crossover tutorial numbers. I created my system with Apps Script. Thank you for sharing your process and your mastery of the basic programming skills for back testing. Soon after being abruptly transplanted to the USA, at the age of 9,I found solace within the public library system. While living in NYC, the library was my sanctuary. While, kids my age, were at the children's section of the library, I instinctively was drawn towards forgotten the economics and trading section of my local branch. I read the Adam Smith's Wealth of Nations at the age of 11. At the time, I had no idea who Adam Smith was, I just knew that the book with over a thousand pages, would keep me busy for quite some time. When I had read through the small finance and economic section of my local library, I mastered the subway system in order to get myself to the bigger financial library branches in Manhattan. I have always been drawn to trading and understanding the economic / corporate / government mechanism, which control developed nations. I have always seen and instinctively understood that trading is my only viable option for self-sufficiency, vocational happiness, and survival. However, I have done almost everything but consistently trade or build a system. After my freshman year of college, a friend of the family, who once was the head of a commodities trading division at Morgan Stanley, randomly, gave me an out of print copy of: Starting Out in Futures Trading. He said to me: " This book belongs to you, now." Never once, had I mentioned my interest in trading, to anyone, out of fear of ridicule or questioning. Sitting in the family room, basking in the afternoon sunlight that showered the room, I read the book in a matter of a day. It was my first introduction to commodities trading. After I received this book, I never spoke or saw this gentleman, again. As I continue to type this e-mail, I take off my glasses, as tears begin to roll down my eyes, a feeling of sadness quivers my throat, as I cry, recalling the soft sigh of relief that parted lips, the joy and gratefulness, which filled my heart, that this book had found its way me; my breakthrough moment. Seconds after I read the book, I also remember, the sinking feeling in my stomach, an endless drop of sadness, that at the time, I felt would never find the fit of my stomach. When I finished reading the book,I hung my head, gently closed the cover red cover of the book, wistfully caressed the cover of the book with the fingers of my right hand, and eventually placed it on the coffee table. I gave the book to my boyfriend at the time, [Name]. I believed I was not smart enough to be a trader; but through [Name], and assisting him, I could vicariously fulfill my desire and dream of becoming one of the most successful independent female trader of my generation. I sought you out a few years ago, because this angst within me that would not let me be. I am familiar with this wrangling angst, I have known for so long. After contacting you, this angst dissipates, I seem to have temporarily freed myself from the knot of the angst. However, while, I sought you out for my own training and in hopes of an apprenticeship, fear and self-doubt engulfs me, and I attempt to pass on my connection with you to [Name], who I felt was more academically suited for trading, after all he was in the Business School at the college we attended. Every new job, I find myself, in the angst return. Every new distraction, I find to replace my desire to trade, the angst returns. Every time, I attempt to envision a life for myself in which trading is not involved, the picture is foggy or I simply can not envision such a scenario. Every time, someone asks me, what do I do for a living, such as today, without hesitation, I say: "I make my living as a commodities trader, and when I am not trading, I bring people together, via my social salon." I always feel like a liar because I am lying; it seems like I can't help it, the answer comes out without my consciousness being able to stop this automatic unconscious response. After the words come out of my mouth, once again, I inevitably hang my head in shame and the sinking feeling in the pit of my stomach returns. I do not want to lie. I want to be the successful independent commodity trader, I have clearly envisioned myself as a child and even today, as the 27 year old version of of myself. I have gained a lot self confidence, specially after the workshop in Puerto Rico, where I must have been at one of my lowest points. I live a happy, healthy life, and although, I am yet, unsure on how to accomplish my vocation as a commodity traders, I heart feels light, and open; my mind clear and open. A gentle smile comes across my lips, as I breath out a sigh of relief; I feel at ease. Thank you for listening. Thank you for TTP and for allowing me to share. Thank you for sharing your process and your history. You might consider taking your feelings about <following your calling> to Tribe as an entry point. I attend my first tribe meeting on 11th of May 2015 ... I take the hot seat as apparently I am the maddest man in that room. I had a problem with my wife. She likes shopping, especially luxury stuff, like handbags and cosmetics. She can easily spend thousands of dollars on these items. I also have a 19 m.o son. I wish my wife could spend more time with him but she does not. She says she want to enjoy her life and does not want to be dragged by family. I am totally on the other side as I believe parents should sacrifice and spend more quality time with kids. I was a real estate agent for the past 2 years, and I saved a good amount of money from buying and selling houses. I therefore quite the job and start trading full time. I had some experiences in trading and i found trend following is the way for me to make money. I use 100/50 day breakout system and bollinger band breakout system. They were fantastic in theory, and evidence shows these 2 strategies can consistently produce money over the years. I am happy with a 20-30% return per year. But every time I start investing real money I seem to be in a drawdown. I think I just need a guy to tell me "Do it, this is the way to go"
During the meeting, every member is very welcoming and trying to get the issue out of my chest. As I am from a traditional oriental family, I am very reserved but i feel a lot better after the meeting. I finally find a place that I can share this story. The members give me some good and quality advice. I appreciate them. Next, I will talk to my wife and listen to her, trying to understand her situation. I will not argue with her and will accept her feelings and work from there. In terms of trading, I decide to stick with my breakout systems. I will give myself another month to paper trading stocks. I bought Metastock in the beginning of the month and did some real backtesting. These strategies can return between 20 and 30 % per year. I have already had 2 workable systems and there is nothing ahead of me to stop me being successful in trading but myself. You might consider taking your feelings about <sacrificing> and <buying things for yourself> to Tribe as entry points. I miss the previous meeting due to being overseas for my cousin's marriage. I ask how it went. They mainly discussed their various issues, and found it very enjoyable. "While the cat's away" they did not follow the TTP in any detail. 5 members present including new member #9. I manage to give our new member both the wrong date and address but he still makes it here pretty well on time. We introduce ourselves and M#9 introduces himself. Only the new member is hot so after the exercises we start with him. Normally I like to let new members see a hot seat before they do one themselves. His issue is that he is now at home with his 19 month old son, having saved a good sum of money from his job as a realtor and from profitable real estate transactions. His wife works as a personal assistant for a property developer. She is not ambitious but likes working, and HS is happy for her to work. She leaves for work early (5:30am) and gets home typically about 8pm. On a typical day she will get home and say she has to rush to the gym for class in 5 minutes. On the weekend she goes shopping with her friends (eg $1000 pair of shoes, designed handbags etc). Her rationale is that she is young and beautiful and should be able to enjoy herself. HS several times expresses that she overestimates how beautiful she is. HS feels confident she is not having an affair. Perhaps she spends up to 1/2 day on the weekend with the toddler. HS feels this is not enough and she should also spend more time with him. He explains that he comes from a family of reserved people who do not much show their feelings. We try to ramp him up and he gets very sad looking, even teary, but then starts laughing. This happens several times. We encourage him to laugh more, do the best job he can not to feel sad, etc. This seems to make him feel sad. M#2 asks does this relate his trading and how this is going. He is making small losses perhaps down 5% over the past 10 months. He trades volatility breakouts with a fairly long time frame. He finds that his system in theory is profitable and when paper trading he makes paper money. When trading real money he loses real money. He finds that after ~6 losing trades he becomes discouraged and changes his system. This happens several times. He doesn't know programming and has recently bought some testing products and started to learn how to use them. We have another go at the hot seat. Similar story. At what seems closest to the peak of feeling we seek out an earlier time. He says his mother is really bossy dominant and critical but she would compromise eventually. With his wife he feels angry and sad and powerless - a lot worse than with his mother. He feels it is a different feeling. On questioning, HS says that the change in his wife's behavior occurred when he gave up his 'real' job. In his and his wife's culture the man is the head of the household. This was the case in both his and his wife's families of origin. In his culture trading is not regarded as a 'real' job. I comment that perhaps the change in job has upset the expected sexual polarities within his marriage. At this stage we seem stymied. HS says he feels a lot better for having gotten this off his chest and grateful that he has some people he can share these feelings with. During the meanderings around the hot seat, HS revealed that he was trying to change his wife's behavior by convincing her through logical arguments that she was wrong. She responded with her own logical arguments, which he admits have some merit. We suggest he try some heart rock type techniques - share how he feels with his wife, without accusation. Try to elicit how she feels. This may open the door for deeper communication. He seems to like this idea. We toss around a few more ideas. On checkout people felt we did reasonably well sticking to the process. Some people report feeling heightened feelings in concert with HS. M#2 is awaiting his medical test results but does not seem to be very hot (he said 1/5). M#3 feels a bit impatient about progress on his trading system but is not hot (1-2/5). We close the meeting. On the long drive home the music is particularly beautiful. I feel very tired the next day. I don't see, in the case of the $1,000 shoes, location of a critical incident, role playing to confirm the incident, fore-giving medicinal rocks or role playing to implement the Heart Rock. I do get a sense that you and your Tribe like to figure things out and then give advice. You might consider taking your feelings about <figuring things out> and <getting the right answer> to Tribe as entry points. I take some time to play with your 'Bubble' model on the Govopoly website. I feel confusion when I think about how to define and measure Trend-Trader and Value-Investor pressure. I wonder if you can share how you define and measure pressure from these two groups as well as the subsets of Value-Investors you allude to in Govopoly (suppliers and those on the demand side). Thank you for sharing your confusion about my model - and for raising several interesting issues. The model does not measure anything outside itself; it generates all its own values endogenously, as do other System Dynamic models. In general, Trend-Trader pressure varies with the strength of the trend while Value-Investor pressure varies inversely with the distance between the price and the perception of value. The model demonstrates that a model that includes these two types of investors can exhibit bubbles. I aspire to be a successful trader and I'm looking to buy your book The Trading Tribe. I live in Brazil and with my family traveling to Miami at the end of May, I wonder what would be best, in terms of expected delivery time, as I choose between shipping to the US or to Brazil. I'm sorry because I know you have probably answered this before, but how long does it take to receive the book in the US after the purchase has been made? Would it take maybe more than a week? Delivery to points in the US generally takes two or three days. Delivery to some locations outside the US may take longer. I just finished your book, and it's very eye opening. I'm wondering if TTP can help my cousin who has some mental issues that he is not aware of. In the past, doctors have diagnosed him as having Asperger's syndrome. He also hears voices occasionally. Is this something that you work with? If so, I wonder if a 1 hour phone consultation might be effective. Nothing else has worked, including medication. So I'm looking for some alternative methods. TTP works for people who come before the Tribe and ask for help sorting out their own problems. If your cousin comes before the Tribe and requests help, I think he might gain something from the experience. TTP does not apply in the matter of trying to fix someone else. In this particular case, TTP might possibly assist you in coming to terms with your cousin's situation. For example, some people with Asperger's have deep and intense interests in various subjects and might like to share their interests with you - according to their own model of social etiquette. You might consider taking your feelings about <wanting to help your cousin> and <wanting to connect with your cousin> to Tribe as entry points. I wanted to ask your advice on commercially available backtesting software and data sources. As a new entrant to the systematic space, I am doing my due diligence on various platforms. Is there one that you might recommend as being robust enough to be useful yet simple enough to be accessible to a non-comp sci. engineer type? Any pointers are much appreciated. Thank you very much. I do not recommend commercial products or accept advertising on FAQ. If you want to get into back testing, you might start off using a standard spreadsheet program - so you can get an idea what goes into a back test. You can find examples of how to do this at my Trading System Project (TSP) at Resources on this site. For more extensive back testing, I use proprietary software of my own design. I've been having trouble with expectations. Specifically expectations about what people should or shouldn't do in social situations. I think the problem is I expect people to follow the same social rules I follow, but they usually don't and that leaves me feeling hurt and sometimes angry. At times the pain is so powerful it feels nearly unbearable. You might consider taking your feelings about <aligning your expectations with others> to Tribe as an entry point. I feel fear and anger. "control" follows me everywhere. Thank you for expanding your comments on my post from May 8, 2015 "More on Father and Son", for including a picture and for removing it. Sometimes after a comment or observation from you, I experience <despair> and <horror>. I relate these feelings to the discovery of what I am really doing and the realization that I am not the great, nice, generous and selfless guy I pretend to be, and that my acts admit a evaluation completely different from mine. I think that your observation about slaves hits home. I am aware of the examples that my children get from her mother and me. I try to show my children a different model and am open for their decision to adopt one or the other. I try to find the balance between freedom, responsibility, authority, complying with agreements, mutual respect, and getting things done. I try to stay humble and aware of my own issues and deficiencies. In the process I get a lot of help from my son, who shows extraordinary patience, tolerance, openness and compassion with me. Thank you for sharing your process - and for working toward intimacy-centric relating in your family. You might like this video.